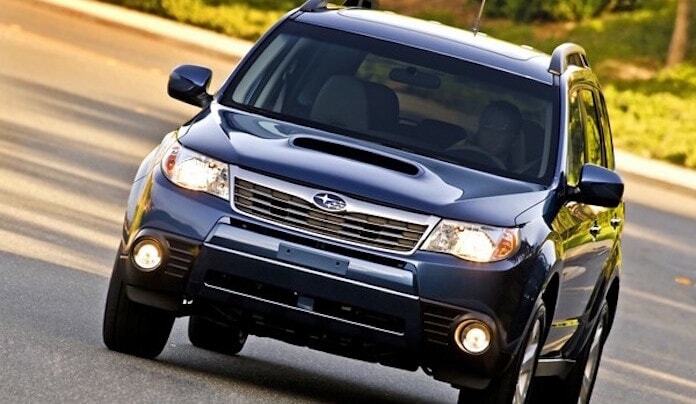 The Subaru Forester is top and Subaru brand is #2 in America among all vehicles owners keep longer than 15 years. If you see a lot of older Subaru Foresters on the road, it’s likely an original owner who’s driving it. According to a report by iseecars.com, Forester is one of the top 15 vehicles owner hold onto the longest. And the Subaru brand is second on the list of the top ten automakers who's owners keep them for at least 15 years. This study is no surprise. Subaru has long been known for its longevity and being owned by families that hold onto their vehicles for many years. They even pass them down to new drivers in the family. iSeeCars.com analyzed over 650,000 cars from the 1981-2002 model years sold in 2017. Fifteen models were at least 1.6 times more likely than average to be held onto by the original owners for 15 years or more. Forester ranks number 13 on the list with 11.5 percent of their owners holding on to them 15+ years. That’s 1.7 times longer than the average for all cars (6.8 percent). They also analyzed the cars by brand, and Subaru was the #2 automaker America on the list, with their all-wheel-drive models being held onto longer than any other (percent of original owners keeping their car for 15+ years). The top brands are Toyota (11.8), Subaru (9.9), Honda (9.7), Acura (8.7), Lexus (8.7) Hyundai (8.2), Mazda (7.6), Nissan (7.6) Infiniti (7.4), and GMC (7.2). It’s not the only evidence Subaru owners love their vehicles. Consumer Reports announced recently which brands satisfy drivers most after living with their vehicles for three years, and it reveals Subaru “Love” is real. CR’s report is an evaluation from car owners, and not CR’s editors. The small Japanese automaker is in the top five mainline automakers when it comes to overall owner satisfaction. Subaru gets kudos for the Forester SUV being their top-15 model for the longest ownership, and they are one of the top brands (#2) in America for their entire vehicle lineup being kept by their owners the longest.